On the massive, cast aluminium base, a sturdy construction carrying the specimen mover head is fixed. The up/down movement is based on two strong columns making the entire systems as solid as possible. This has a very positive effect on specimen planeness and noise during preparation. 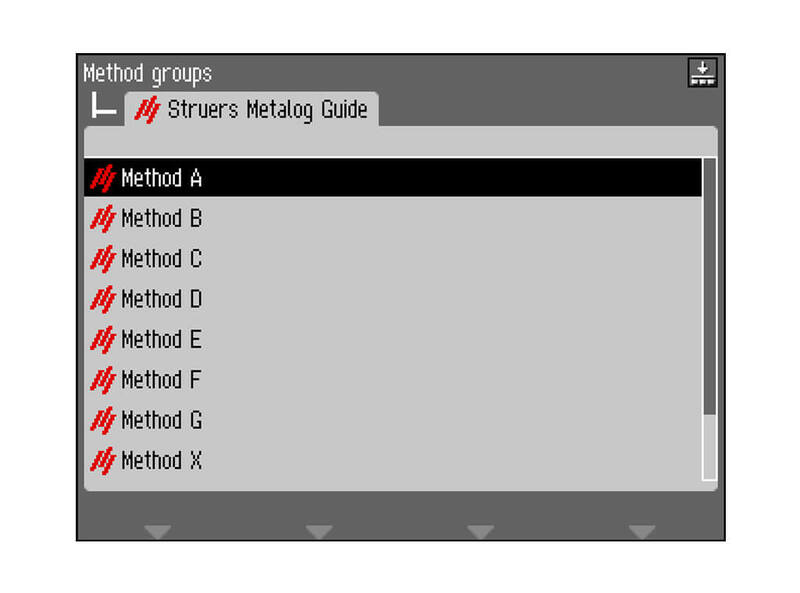 Tegramin includes 10 Struers Metalog Guide methods which cover all major material groups. They are developed for maximum performance of the Tegramin and allow you to get started right away. They also provide an excellent starting point for development of your own methods. Three different dosing modules are available for Tegramin: A module with one pump for DP-Suspension or lubricant, a module with two pumps for DP-Suspensions or lubricants, and one module with two pumps for DP-Suspensions or lubricants and one pump with water connection for OP-Suspensions. These modules can be combined in various ways, opening for many different combination possibilities and up to 7 pumps in total. 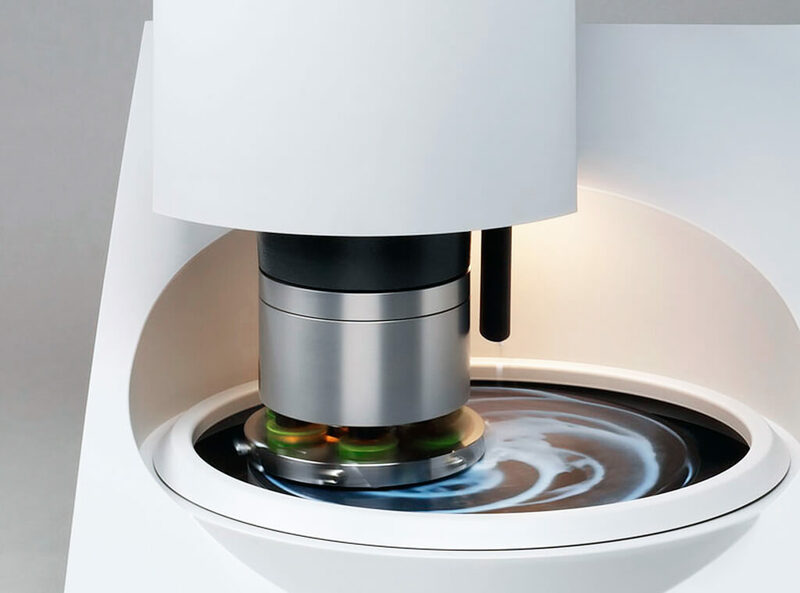 To further facilitate cleaning, Tegramin-30 and -25 are equipped with a bowl flush function. While the disc is rotating, disc cooling is activated. The water that is sprayed on the bottom of the MD-Disc is distributed to the walls of the bowl, washing away loose debris. As an option a transparent cover that encloses the entire preparation area is available. The cover offers several advantages: when alcohol-based consumables are used, all the fumes are contained within the cover. The cover can be connected to an exhaust and all fumes can be removed without any personal exposure. It is very easy to remove the MD-Disc and it allows therefore the fast exchange of the bowl liner. 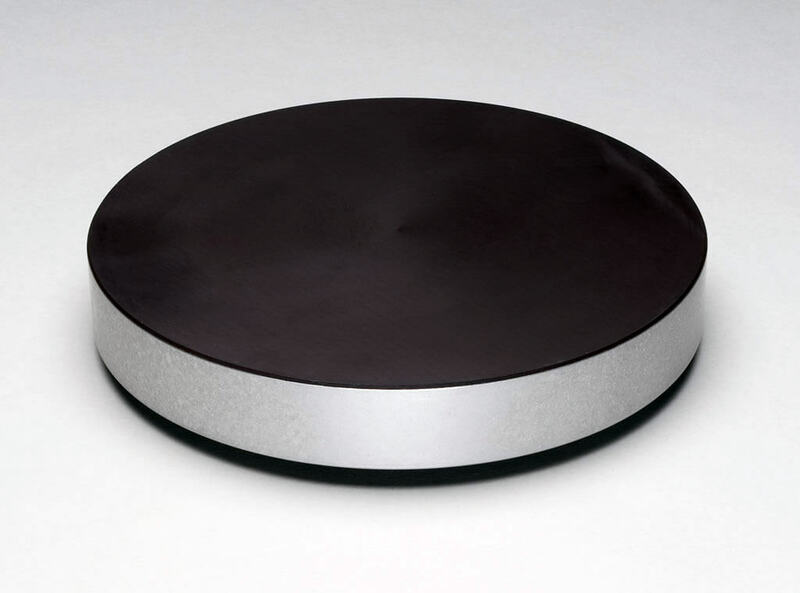 It has a higher mass than the traditional MD-Disc so it also keeps the temperature of the preparation surface lower and can easier be cooled down using the disc cooling function. A bowl liner that fits precisely into the bowl collects all debris that is not washed down the drain. When the machine has to be cleaned, the bowl liner can easily be removed. It can then either be cleaned or discarded. Illuminates the entire preparation area and makes it easy to follow the preparation process. When not used for 10 min. the Tegramin will enter a standby mode which saves electricity and by this protecting the environment. 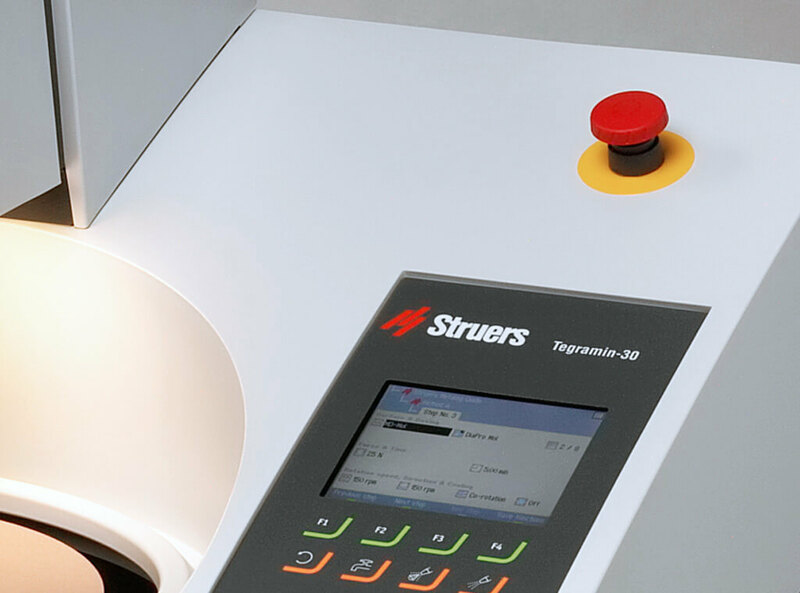 One of Struers' recirculation cooling systems can be connected to Tegramin. This is especially useful to collect grinding debris and to avoid blocking the draining system in the lab. It is also very useful when water is scarce or when there simply is no water connection nearby. 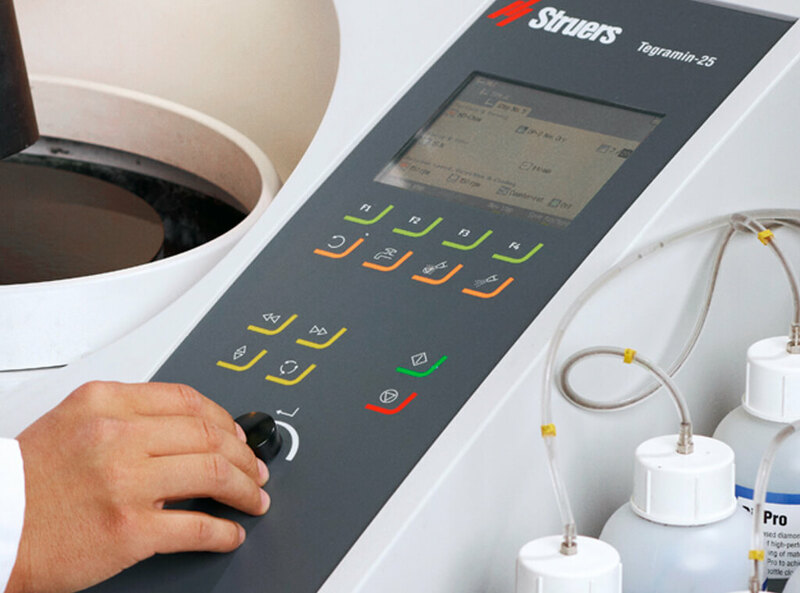 Tegramin is designed with a large colour display for easy operation. 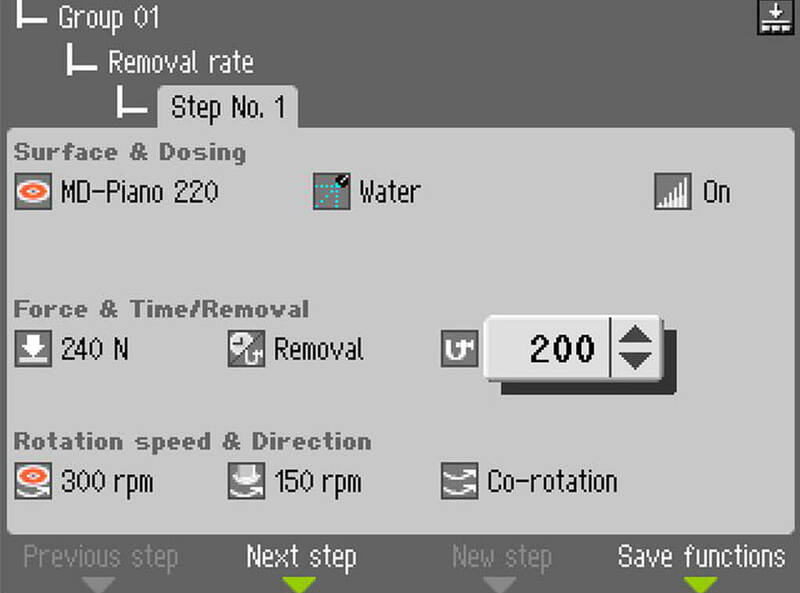 The navigation in the software and change of parameters are very fast and easy by the turn/push knob. 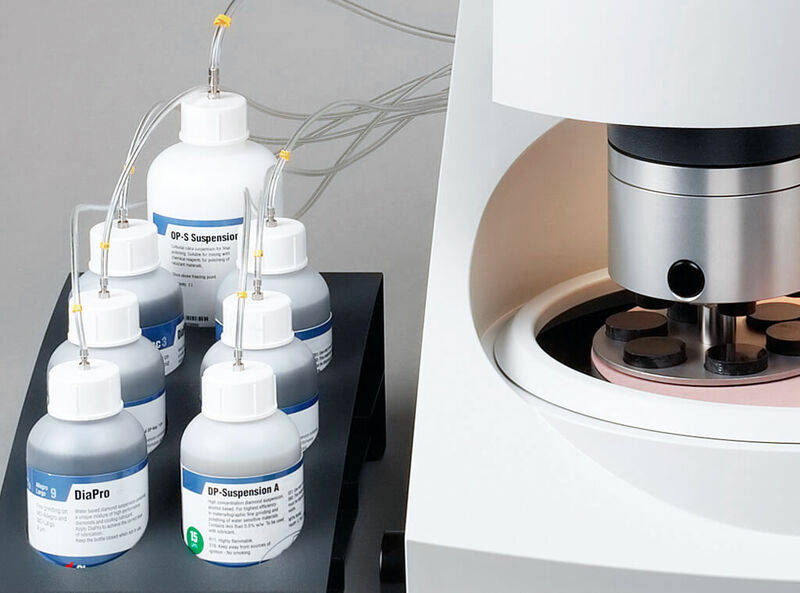 A built-in removal sensor allows for the measurement of material removal in the range from 50 - 5,000 μm. 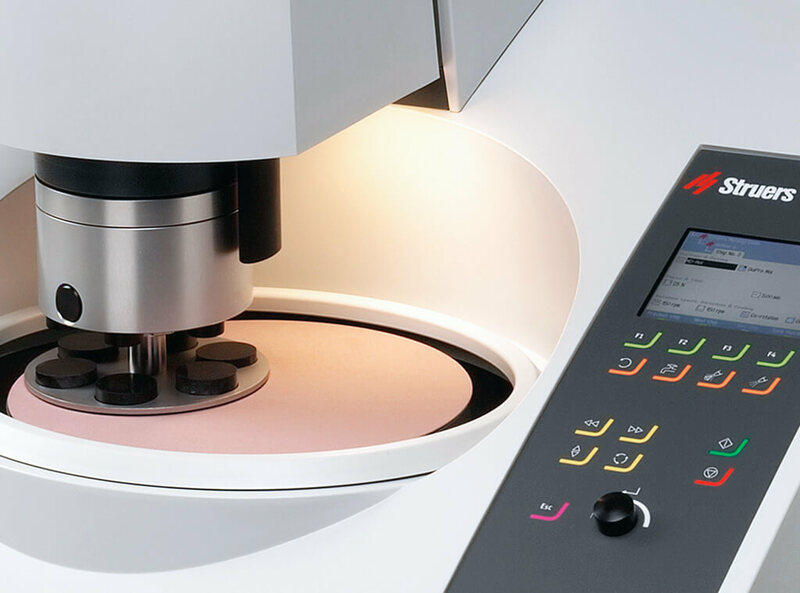 Instead of relying on preparation time, especially when grinding various numbers of specimens, the necessary amount of material to be removed can be specified. This guarantees the shortest possible grinding time while ensuring that sufficient material has been removed. After the specimen mover plate has been moved into the correct position over the preparation surface, the coupling is locked inside the specimen mover head. This completely avoids any small movements of the specimen mover plate, resulting in a tremendous improvement in specimen planeness. The specimen mover plate is locked in place with a single screw on Tegramin-20. Depending on the number and size of specimens to be prepared different system sizes are available. Tegramin-30 for 300 mm discs, Tegramin-25 for 250 mm discs and Tegramin-20 for 200 mm discs. Tegramin is available in three variations, see specifications for details. 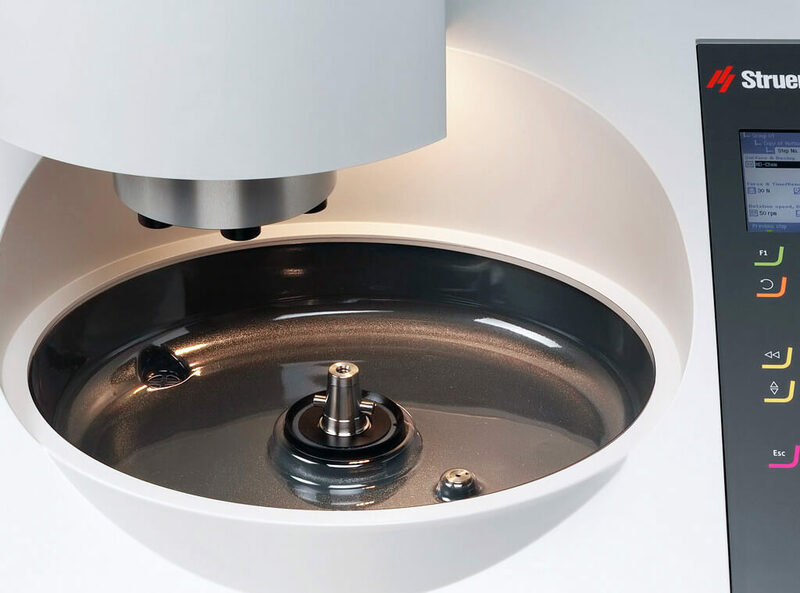 Automatic, microprocessor-controlled machine for grinding and polishing of specimens on a 200 mm MD-Disk with a cone. 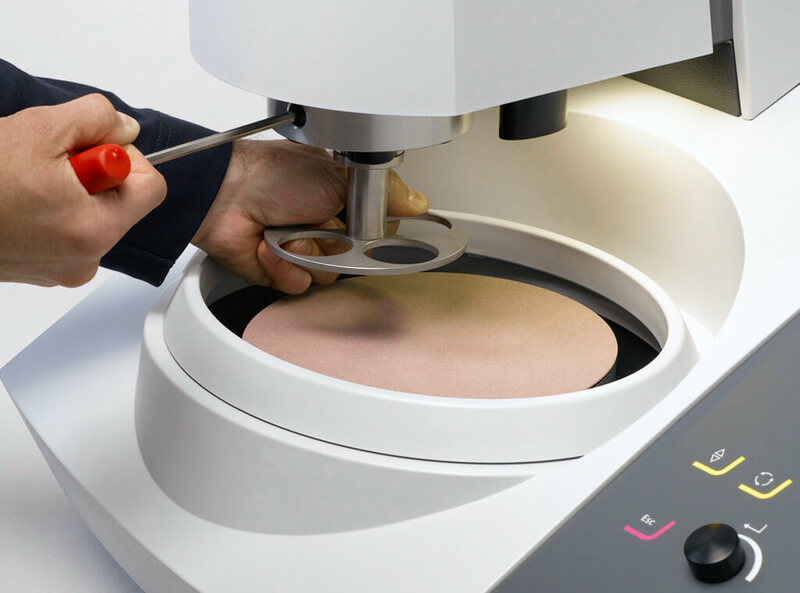 Dosing modules, an MD-Disk with a cone, and specimen holders are ordered separately. Tegramin-20 can be ordered with or without a transparent cover. 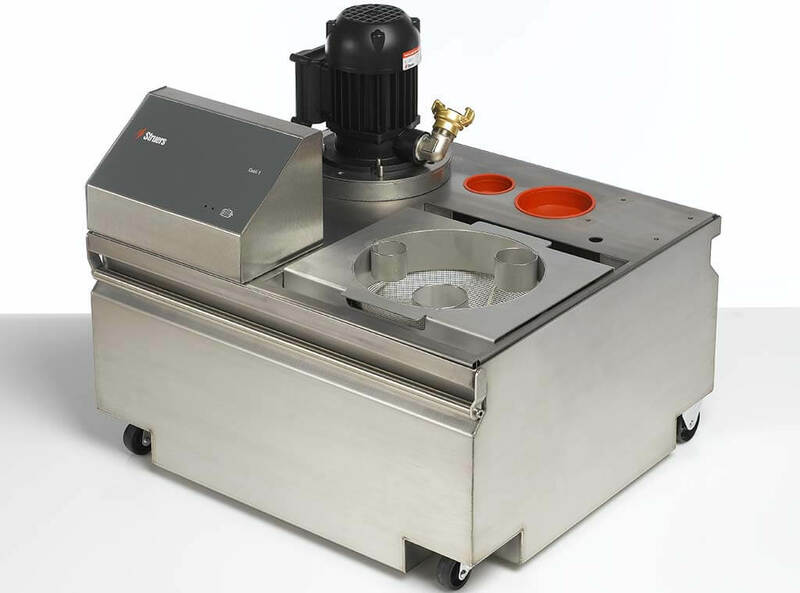 Automatic, microprocessor-controlled machine for grinding and polishing of specimens on a 250 mm MD-Disk with a cone. 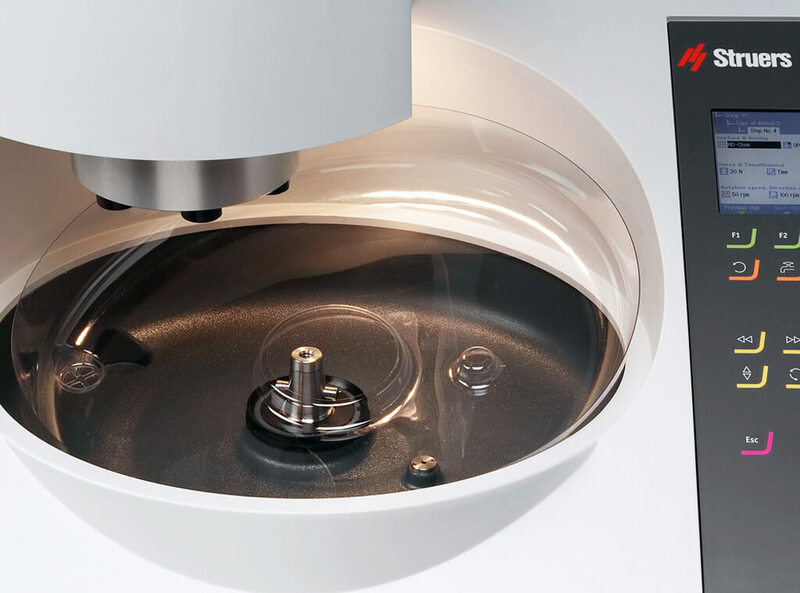 Dosing modules, a MD-Disk with a cone, and specimen holders are ordered separately. Tegramin-25 can be ordered with or without a transparent cover. 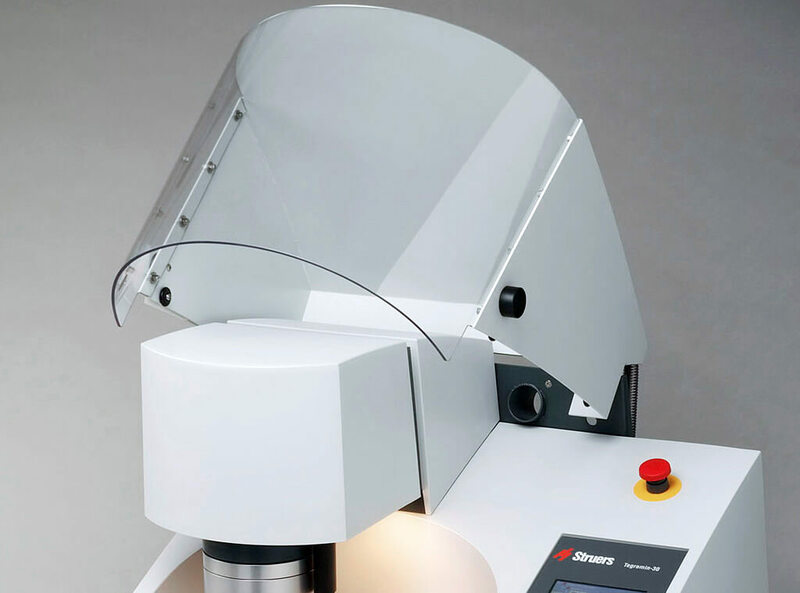 Automatic, microprocessor-controlled machine for grinding and polishing of specimens on a 300 mm MD-Disk with a cone. 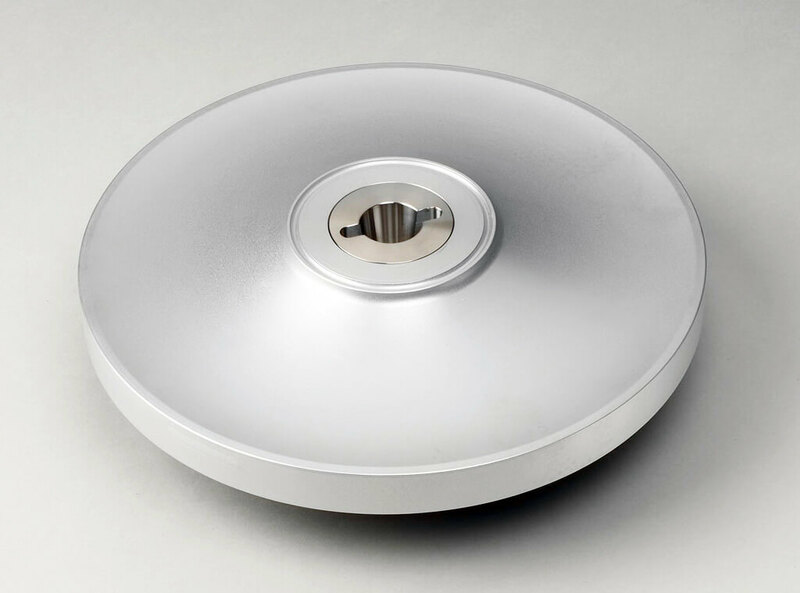 Dosing modules, an MD-Disk with a cone, and specimen holders are ordered separately. Tegramin-30 can be ordered with or without a transparent cover.